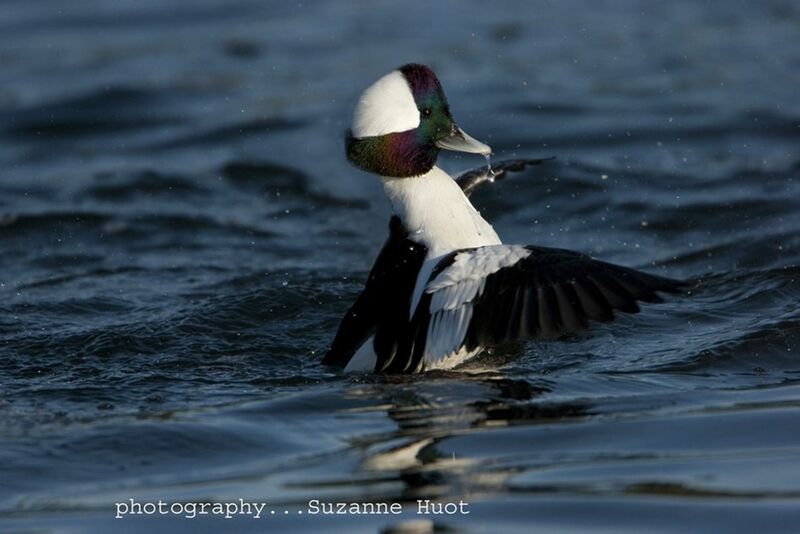 The Friends of Shoal Harbour Sanctuary Society (FOSH), a non-profit society registered in British Columbia, wishes to build public support for the continued preservation of the Shoal Harbour Migratory Bird Sanctuary. In particular, FOSH is promoting an integrated management plan for the foreshores of Roberts Bay and Tsehum Harbour that constitute the Sanctuary, a plan that would be enshrined in the Official Community Plans of the Town of Sidney and the District of North Saanich, the two municipalities in which the Sanctuary resides. 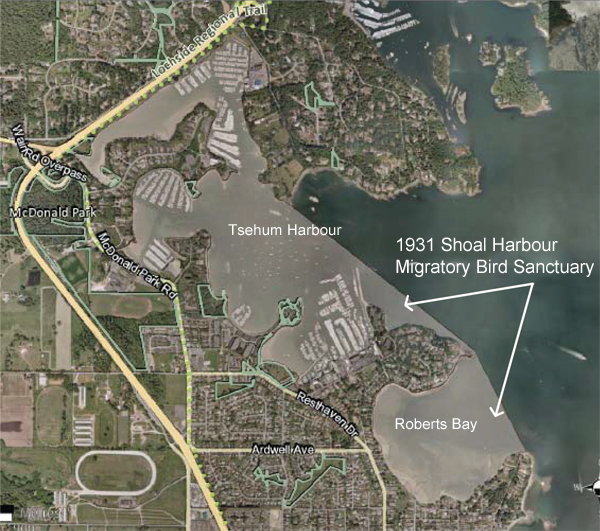 Google Map showing portions of Sidney & North Saanich foreshore that are part of the Migratory Bird Sanctuary. See also Location & History . The Shoal Harbour Migratory Bird Sanctuary was created in 1931 under the authority ofthe Migratory Bird Convention Act. The Sanctuary supports migratory birds, many plant and animals species and has cultural and historical value. Shoal Harbour is located in the Sidney Channel International Bird Area (IBA) recognized for its critical habitat for migrating birds. The area is also the ancestral home of the Salish (Wsi-i-kem) people. Friendly reviews of the Official Community Plans of both Sidney and North Saanich pointing out ways in which the plans could be more clear and more protective regarding the foreshore environment and the Migratory Bird Sanctuary in particular. Efforts to publicize the existence and value of SHMBS and thereby to build a public clientele supportive of the joint management plan initiative. Cooperation with the Canadian Wildlife Service, Habitat Acquisition Trust, Peninsula Streams, Nature Canada and other environmental advocacy groups to educate the public and involve them in our programs. Reaching out to other groups will help to embed FOSH in a supportive environmental advocacy network. Persuading the Federal Government to extend the boundaries of SHMBS to include the offshore islets from Roberts Point to Rothesay Ave, and to include the Migratory Bird Sanctuary within the proposed Southern Strait of Georgia National Marine Conservation Area. Continuing to organize “unofficial” conferences, symposia, etc. promoting a joint management plan for Shoal Harbour, gatherings that include all stakeholders. Embracing, celebrating and investing in the legacy of the Shoal Harbour Migratory Bird Sanctuary.